All appointments start with a consultation exam. However, an emergency appointment can be made if you are in too much pain and can not wait to schedule a two hour appointment. The doctor can perform a procedure which opens the tooth to remove the nerve, then packs the tooth with medication to kill infection, and finally places a temporary filling. This procedure significantly reduces pain and starts the healing process until you are able to return to finish the root canal. 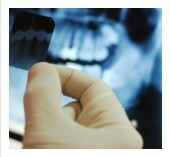 If you live in or around Tarzana and experiencing tooth ache, call us today!